Download our pre-built security VP mailing list to get all of the information you need contact chiefs of security and similar senior executives. This targeted email database of vice presidents of security is a safe investment to improve your B2B marketing efforts! The chief of security at any company carries a heavy burden. These senior executives oversee critical tasks ranging from keeping an office building and its staff secure to ensuring that both corporate and customer data are kept safe. Whether they are in charge of protecting employees and equipment, vital information, or both, a CSO or VP of security has a difficult job, and if your product or service can help make their lives easier, they need to hear about it. Introduce them to your products and services with this targeted VP and CSO email list, conveniently sorted by job title and containing only those with senior and/or c-level titles, including "vice president of security" or "chief security officer" at a wide variety of companies. 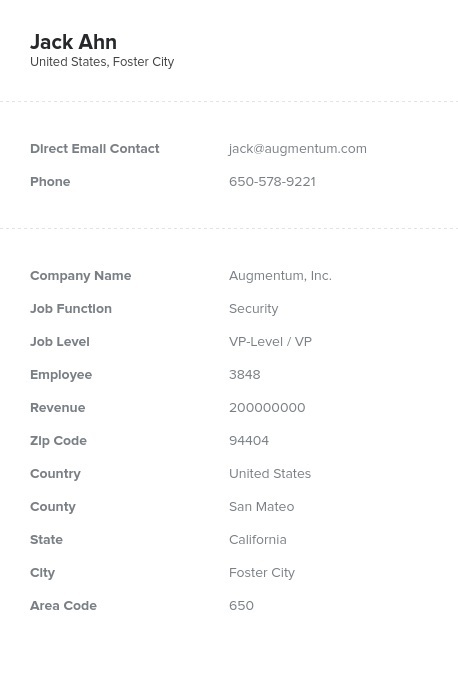 This pre-built list of potential sales leads contains direct contact information including real names, company details, email addresses, phone numbers, postal addresses, and more, so you can directly market to those who would be most likely to buy your product or service. Purchase this security executive and VPs email list and you can download it in minutes, integrate it into your CRM, email leads, and start building B2B connections right away. Secure a profitable future for your business when you buy this human-verified, affordable security chief email database.